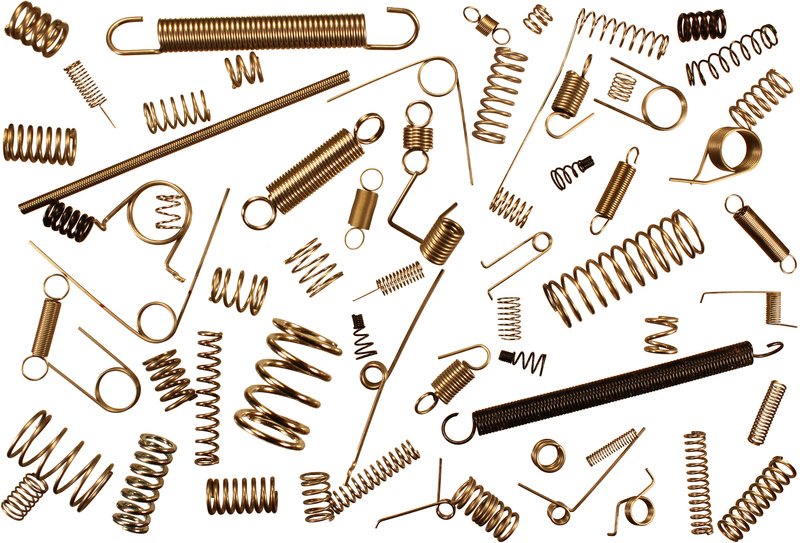 There are many different types of springs used throughout the design and engineering world, however, they all share common properties which make them perfect for projects. However, each spring can possess these properties in very different ways. Knowing how they do so is vital as these differences can vastly affect work. What are the key qualities of springs that should be borne in mind when designing for a building project? Torsion is the twisting of an object as a result of torque being applied, in springs this allows them to store rotational energy. A torsion spring follows Hooke’s law, which states that force needed to extend a spring by some distance is proportional to this distance. However, Hooke’s law must eventually fail once force exceeds a certain limit. Knowing what this limit is for particular needs becomes an integral part of any project. This coiled spring was first used in door locks during the 15th century but soon became prominent in clock-making, as the first mechanical clock was also created that century with the help of springs. Springs with high torsion ability can be used in clothes pins, cameras and a weight support for heavy moving objects like garage doors. There are also spring with a distinctive helical shape capable of withstanding compressive forces. This is the most common spring type. A compression spring, when pushed by a load will always push back in order to try and reshape itself into its original form. Not only do they offer resistance to this force, but they also the most efficient way to store the energy received from this force. When experiencing full load, the spring experiences stress and is in full torsion as a result. The stress is experienced more typically at the top of the spring, but operating stress is experienced throughout the spring depending on the spread of the load. Installed at full stress in most cases, compression springs can take a significant amount of stress without experiencing damage. Typically used in vehicle suspension, toys and spring mattresses or other areas that need to absorb impact. Tightly wound coils designed to work with tension, these springs stretch to a certain length as the load is applied. The coils, when unloaded, are touching and only part when a load is applied. When the load pulls, the spring tries to return to its more compressed form and this causes the springing action until the force ceases and it returns to its original form. One of the widest uses of all springs, found in industrial robots all the way to locks and trampolines.